The theme is based on my previous topics. 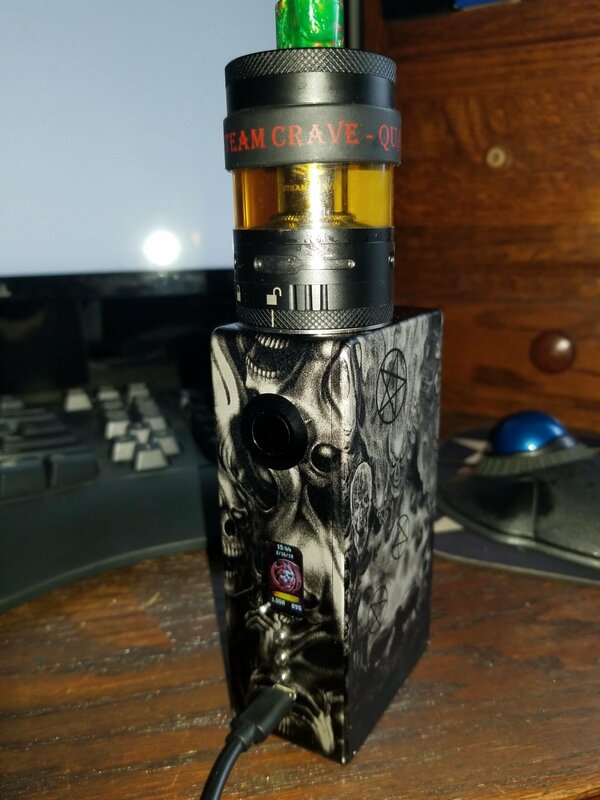 It works on DNA75C DNA250C, and in DNA75C does not operate "Power bank" mode. 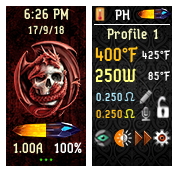 The theme of VapingBad is the basis theme - here are many changed: icons and there are extra features .. I use his conversion for pre-heat - a very compact solution. In Lock Screen down: Current in charge or root temperature in non charging mode. In Main Screen two resistans: locked ohms and life ohms. 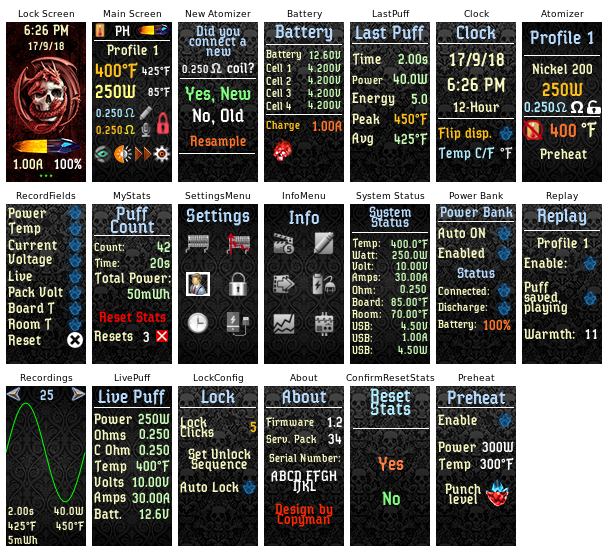 In Main Screen right to Power: temperature of board or output voltage in VW mode. Fantastic design. I had to delete two panels in order to install it onto my box. I deleted the Powerbank page, and the live recording page, and also deleted the icons for those pages on the menu screen, as I don't use those two pages. But other than that, it's perfect. I love that it has to option to change the wallpapers of each screen to skulls, as my box is all skulled out. Everything works perfectly. Great job, and thanks for the hard work! Really like the theme. I’m new to dna250c and escribe but this was my first theme I’m trying. The only thing I don’t understand is why it shows four battery cells when I only have 3. Hello, my mistake, because my mod has four batteries and I have not paid attention to hiding batteries that are not present. I'll upload the theme with the fix now .. It has everything I need and in 0.1w and 1degree increments, has everything on the device so you only have to plug in to update, great work!